It’s finally happened, y’all; cool autumn air has finally arrived at my house! Some of you have had it for awhile; I’ve tried not to be envious. 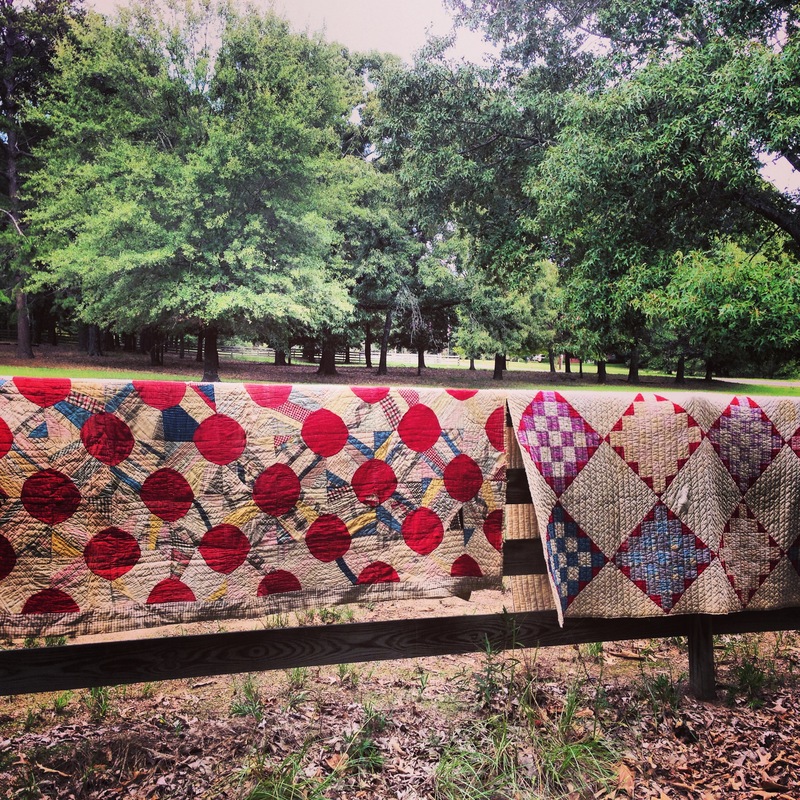 I’ve been buying quilts over the last few months, just preparing for the arrival of winter; I’ve been doing canning and freezing, when I could, with the delicious things I’ve bought at farmers markets over the summer. I absolutely feel happiest when it’s cold outside…as long as the power stays on…but I digress. Speaking of farmers markets, I stopped by the one in Mineola today, and picked up some sweet potatoes from a farmer, as well as some Japanese eggplant. Sweet potatoes are a favorite of mine; often when I order steak in a restaurant, I’ll order a sweet potato on the side instead of a white potato, if offered. They’re so good with just a little butter melting inside. Sweet potatoes don’t just have to be covered with brown sugar and marshmallows, right? 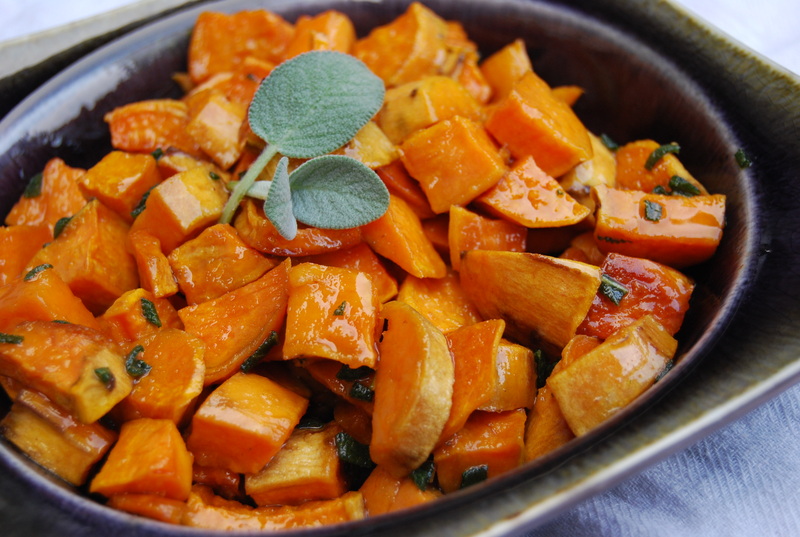 Here’s a great recipe for sweet potatoes that I think you’ll like, if you’re a fan of these colorful, sweet, good-for-you tubers. The potatoes are roasted, which makes them nice and chewy-soft, and the sauce has a fabulous flavor that I think you’ll love! I served these potatoes tonight with a pork loin roast that I had stuffed with garlic (it was scrumptious!) and some fresh snap beans I’d cooked with a chunk of bacon fat. Mmm Mmmm Mmmm. My mama’s style of doing things! It was a fabulous dinner and my boys were thrilled. So was I! I hope that your fall cooking brings you comfort, enjoyment, and time with loved ones around a table. And if you try this recipe, or if you have one to share with me, please join me here on my Facebook page to talk about it with me! You might also like: Savory bacon-veggie hotcakes: one pan, loads of flavor. German potato bake: definitely not a “light” recipe, but they are so decadent that once in a while, it’s worth it! Hassler Roma was founded in 1893 and has been owned by the Wirth family since the 1920’s. sensible equipment in which to land these fish. re sin egen chef og eje sin egen virksomhed, hvad enten det er p.